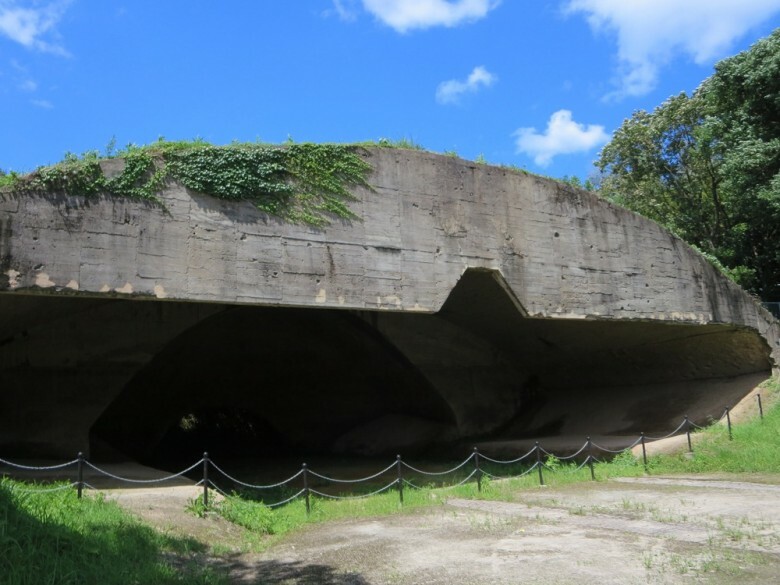 This bunker is a hangar that was constructed to protect military planes from enemy attack during World War II. The nearby Inado area is adjacent to the former Tsuiki naval airbase (the present day JASDF Tsuiki Airbase), and so had a large number of military facilities constructed. The bunker shows traces of having been attacked by machine gun fire, and is a very valuable cultural asset for teaching how precious peace truly is.